Why is Purim no Yom Tov?…ask the Rabbi. 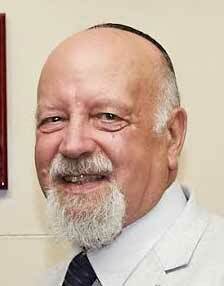 Rabbi Raymond Apple writes about Purim. The day before Purim is called “Ta’anit Esther”, the Fast of Esther. Despite the popular view, it does not commemorate the three-day fast described in the Megillah (Esther 4:16). Three days cannot be telescoped into one day, and in any case our Fast of Esther is not mentioned in the Megillah or ordained in the Talmud. The late tractate Sofrim (21:1) does state that the sages of the Land of Israel did fast for three days before Purim, but not on consecutive days because such a long period of fasting would constitute a danger to life. According to the Bet Yosef (Orach Chayyim 686), the one-day fast was introduced by the medieval ge’onim to recall a pre-Purim fast of the entire Jewish people, ordained to pray for protection from antisemites like Haman. The name Ta’anit Esther is said to have come about like this: those who were involved in the fight with Haman’s supporters had to eat and drink in order to keep up their strength; Esther, safe in the royal palace, did not fight and was able to fast, which she did for the sake of her fellow Jews. So Purim benefited everyone, but the fast was Esther’s fast. The Divine Name never appears explicitly in the Book of Esther, but there are a number of hints of it. There are acrostics where the Name is formed by the initial letters of several verses, e.g. 1:20, 5:4, 5:13 and 7:7. The background idea is that God was constantly working behind the scenes. His Presence was implicit in events. Why the Name is not spelled out explicitly may be, as some commentators suggest, that the Megillah was a popular historical tract which might not be treated with due seriousness and sanctity. From the point of view of human history it suggests a daily experience. There are countless occasions when human beings cannot explain events without God, without bringing in the Omar Khayyam concept, “The moving finger writes”. It should also be pointed out that there are times such as in the Torah portion of T’tzavveh when Moses’ name is not mentioned even though he is obviously at work behind the scenes. Is fever a sickness? We can leave that to the doctors. But whether Purim is a Yom-Tov – this needs some thought and consideration. For those whose annual experience of Yom-Tov is limited to the rarefied solemnity of Rosh HaShanah and Yom Kippur, Purim quite definitely does not figure. Even for those who know Pesach, Shavu’ot and Sukkot, Purim is, to say the least, different. It is a predominantly secular occasion. It has a light carnival spirit. It has its serious side, but it is primarily a day for popular jollification. Not only this, but it is the custom on Purim actually to make fun of serious things and to satirise sacred books, holy men and religious observances. The Talmud itself authorises this frivolity, when it says, “A person is duty-bound to make merry on Purim until he does not know the difference between ‘Blessed be Mordecai’ and ‘Cursed be Haman’” (Meg.7b). And Rashi comments that “make merry” means “become intoxicated with wine”. It is a surprising statement, especially when we know that drunkenness is frowned upon by Judaism and is rarely found among Jews. But in this light-hearted spirit all kinds of Purimspiels, playful jollifications, were known in old-time communities, have been revived in modern Israel, and are enjoyed by many sections of Jewry even in the Diaspora. And so on. The parody follows the familiar original, line by line, with countless variations on the same theme. You might of course get the wrong idea and think the medieval rabbis were drunken buffoons with no sense of propriety, dignity or sanctity. But if you held that view you would be quite wrong. What makes Purim special is precisely the fact that this is the one occasion in the year, with the possible exception of Simchat Torah, when entertainment and amusement are an essential part of Jewish living, just as study, piety and prayer are expected on other occasions. It is good for a serious-minded people, whose history has been so full of tragedy and pathos, to be able once in a while to let its hair down, to relax, to laugh at itself, to enjoy light relief, and not to take itself too seriously. Nathan Ausubel, editor of the “Treasury of Jewish Folklore”, has said (page 264): “Jews are skillful at joke-making because they are also virtuosi in the art of pathos. They have been tempered by necessity to take life passionately – with gaiety as well as with sober earnestness. “This dual capacity for weeping and laughing at the same time has had its origin in the chaos of life. The harmony of light and shadow is always at work; the same experiences which have made the Jew realistic and thoughtful have also exposed to his ironic eye the foolishness and incongruities of the Human Comedy. Jewish history has, in this generation, taken a turn for the better. But we still have enough anxious pre-occupations to appreciate the opportunity of relaxing momentarily and turning to laugh at ourselves. Can any one let know the full Yiddish of Purim is not a Yom Tov, a fever is not etc and there is a third part which some people might also know?